Hi everyone, it's Clare Messenger with you today. 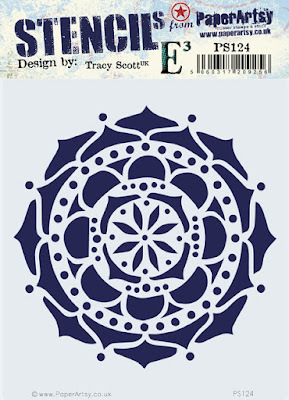 Here's a reminder of Tracy's stunning new stamps, announced yesterday. I love working with florals and I especially enjoy building up layers of flowers to create 3D art, art that just leaps right out at you! First layering with paint stamps and stencils, adding texture to your piece and creating interest for the eye, building and embellishing your creation so that it comes to life! 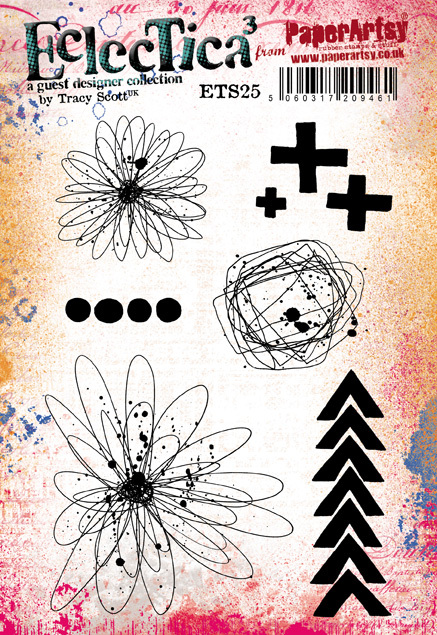 The background stamps added so much focal interest, with a variation of shapes and patterns. 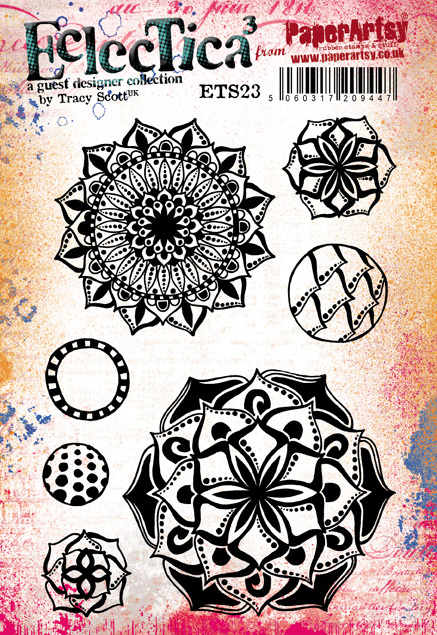 They will be a fabulous addition to use in my journal, I absolutely adore the bubbles I can see those being used for underwater scenes. 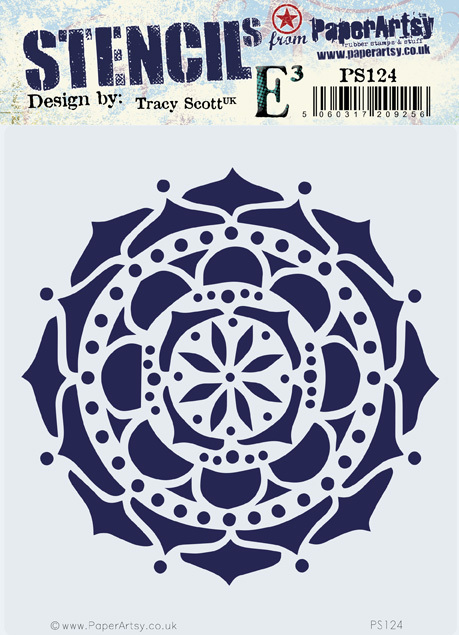 Tracy's new stencils are just so stunning! 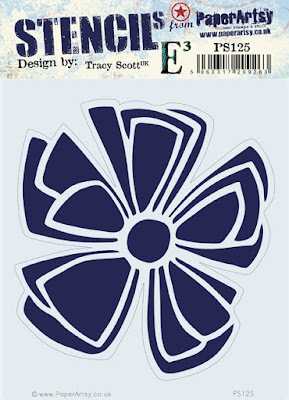 Creating crisp stencilled flowers to add to your projects. I would like to stencil these into my art journal and maybe have a go at some zentangle, the petals are spacious enough to create patterns of your own. When I first saw the images of the flowers I knew exactly what I wanted to do with them! They will be so versatile! I have a feeling that they will be making appearances on many a birthday card. 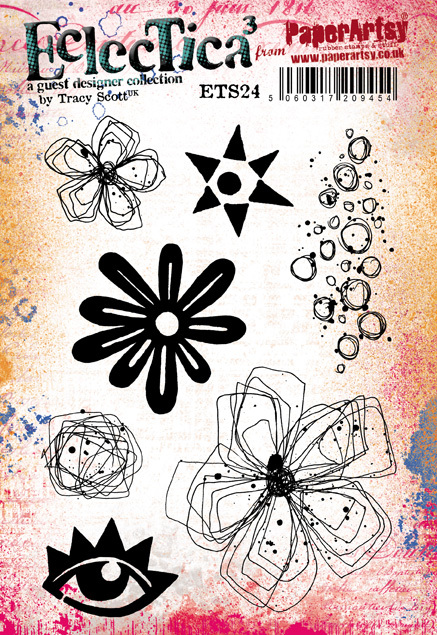 Contemporary blooms that are fun and diverse and sure to grace a mantle piece as well as a piece of mixed media art. I really love how how the flowers cascade down the canvas. They lend themselves to mixed media so much! 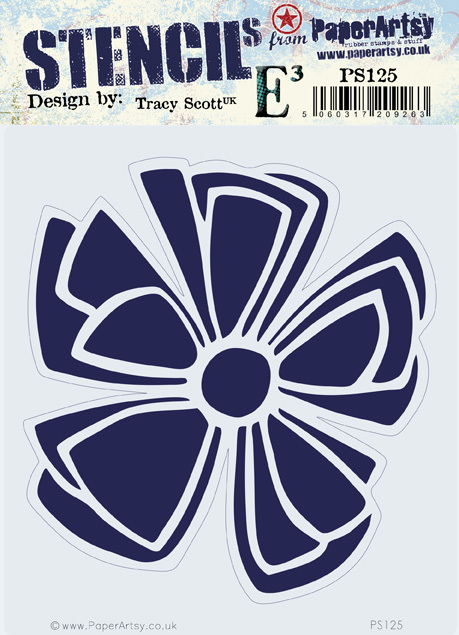 I cant wait to explore other colour ways, I'm also looking forward layering the flowers to add a further dimension. As I have already mentioned, I knew what I wanted to achieve as soon I saw the stamps! 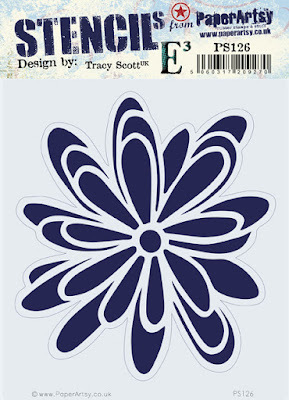 I was overjoyed with the end result, however on reflection I feel I could have added more stamping into the background. I think I hesitated over this as I didn't want to detract from the flowers. Given that the blooms had the bold & bright hues to carry them, I shouldn't have worried! I'm really looking forward to using these in my journal, I see a very vivacious head-dress popping up at some point. Thank you to Leandra & Tracy for giving me the opportunity to share these gorgeous stamps with everyone, they were a dream to work with! Details of stockists can be found at the foot of this product announcement here. 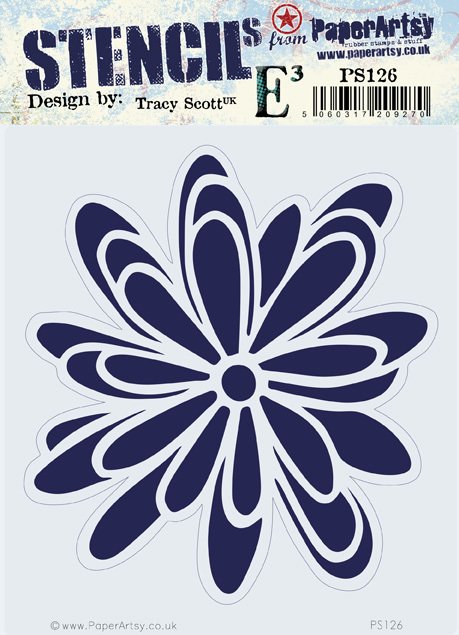 Absolutely glorious, Clare - those vivid colours on the blooms and the exciting layered stamping in the background all show off Tracy's new stamps beautifully. Gorgeous art Clare! I love the colours! LOVE love what you've made here!! WOW! It's gorgeius, a feast for the eye!